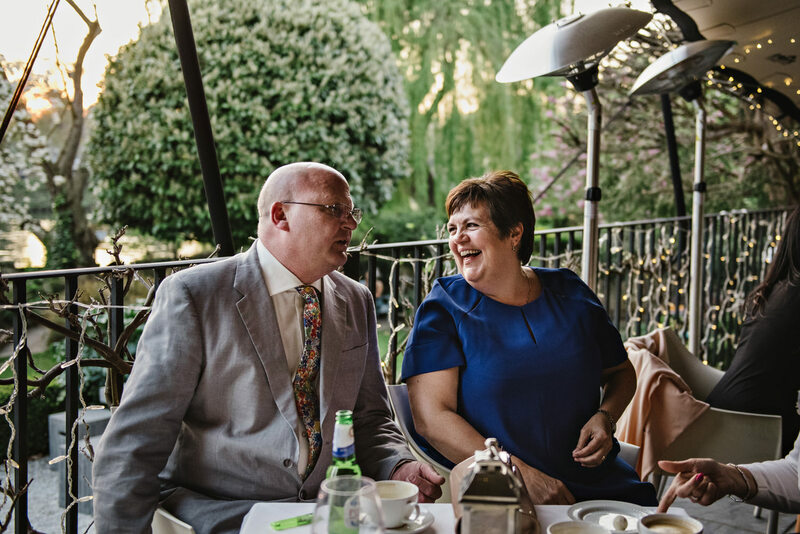 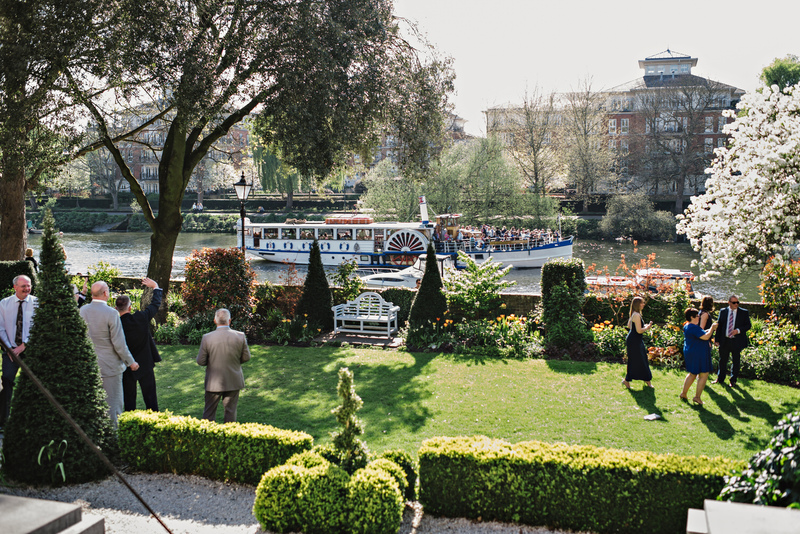 This was my first time being a Bingham Hotel wedding photographer and it was a real treat to be able to capture the wedding of Gill and Mark at this fabulous venue on the banks of the Thames. 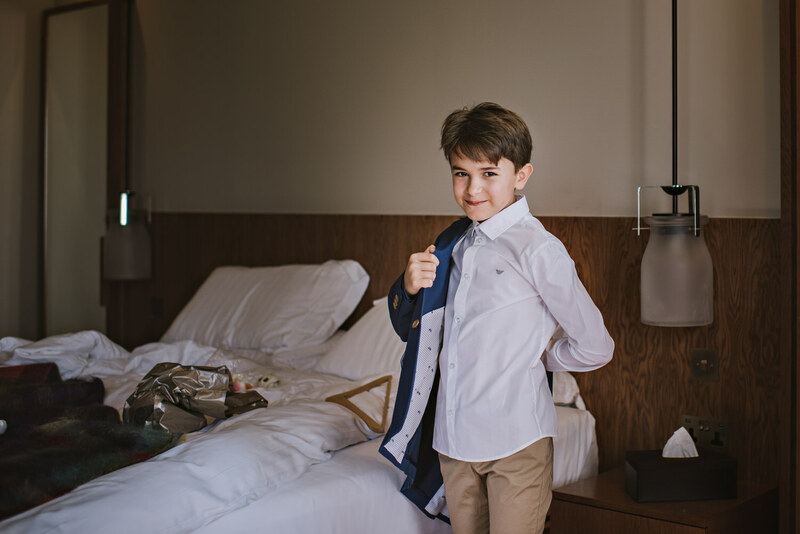 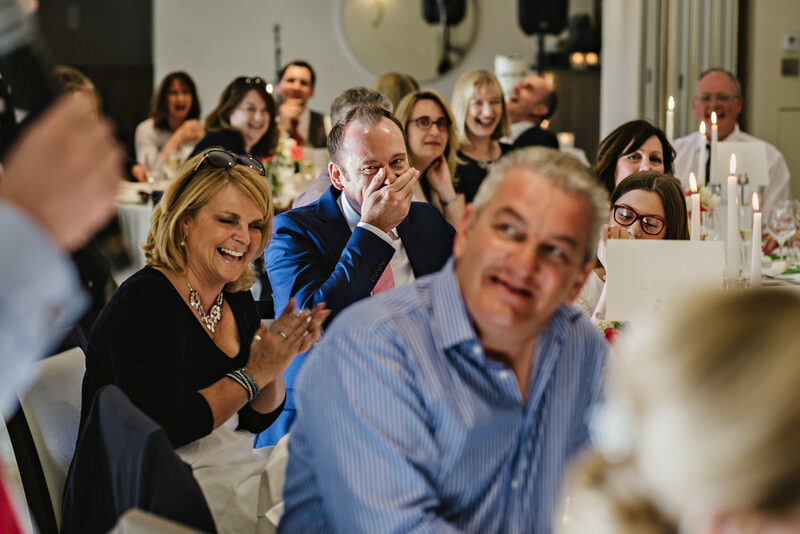 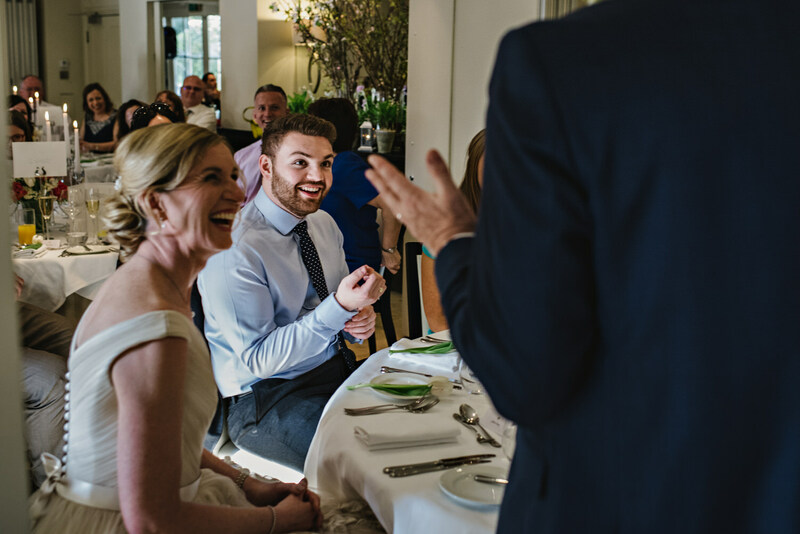 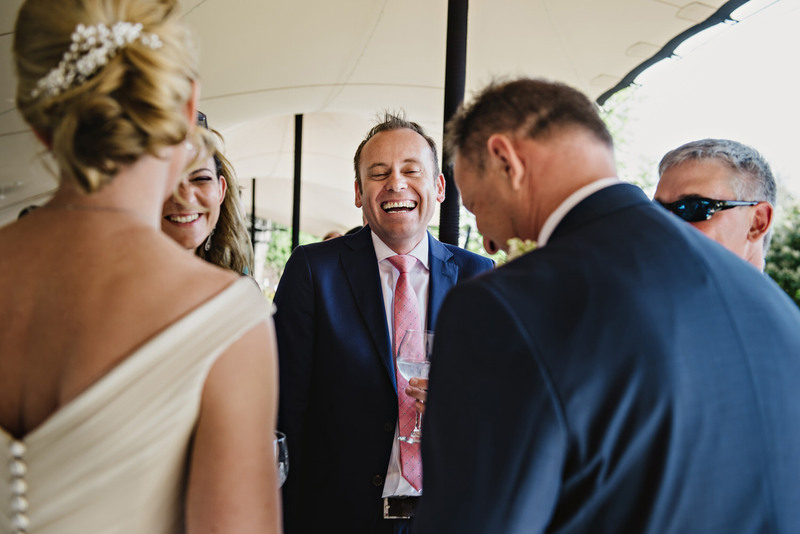 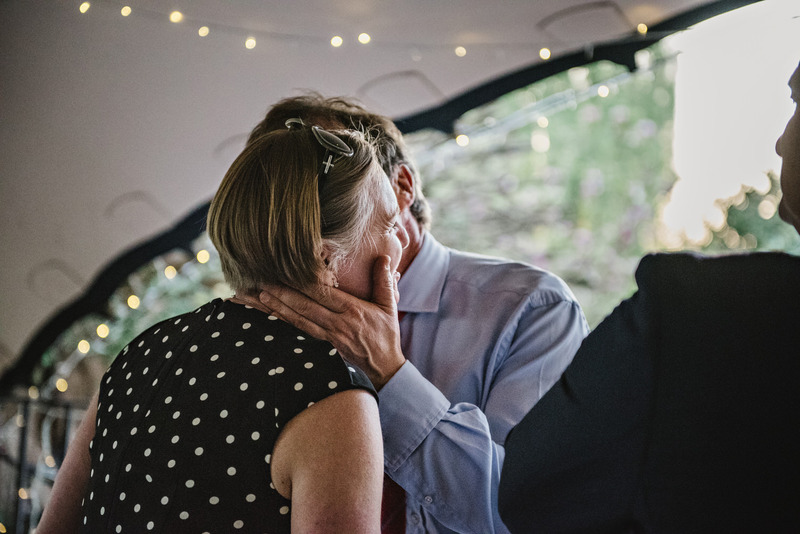 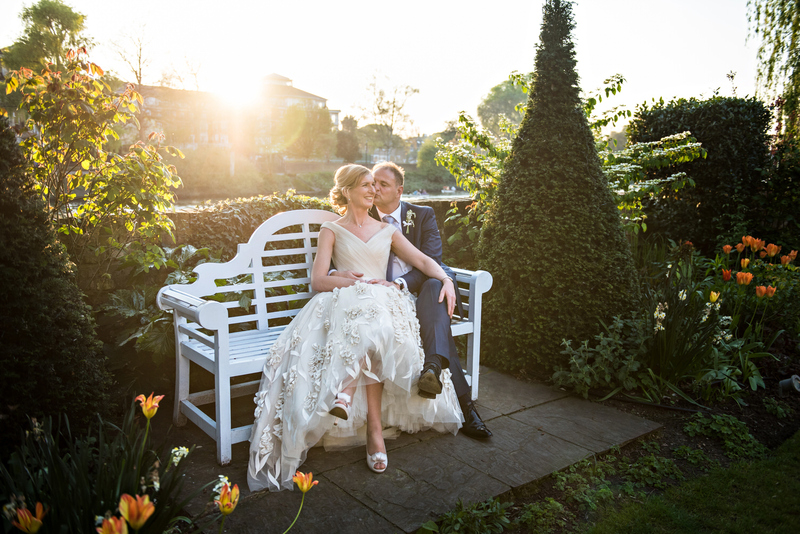 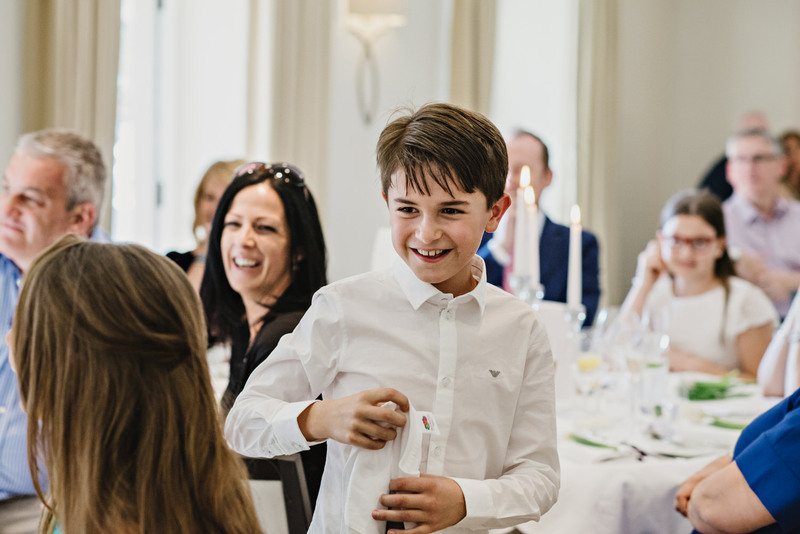 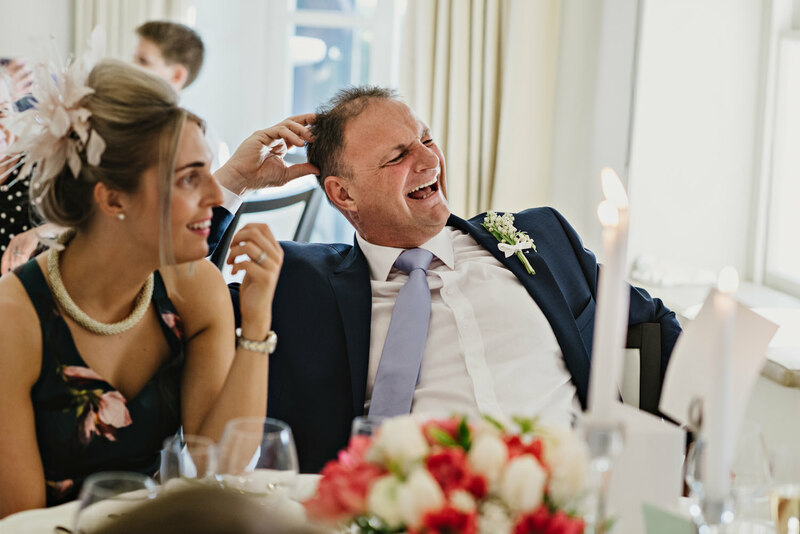 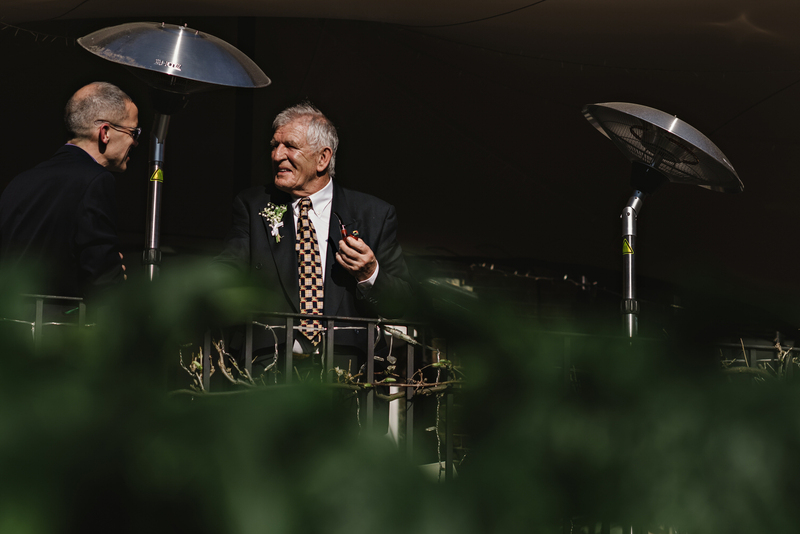 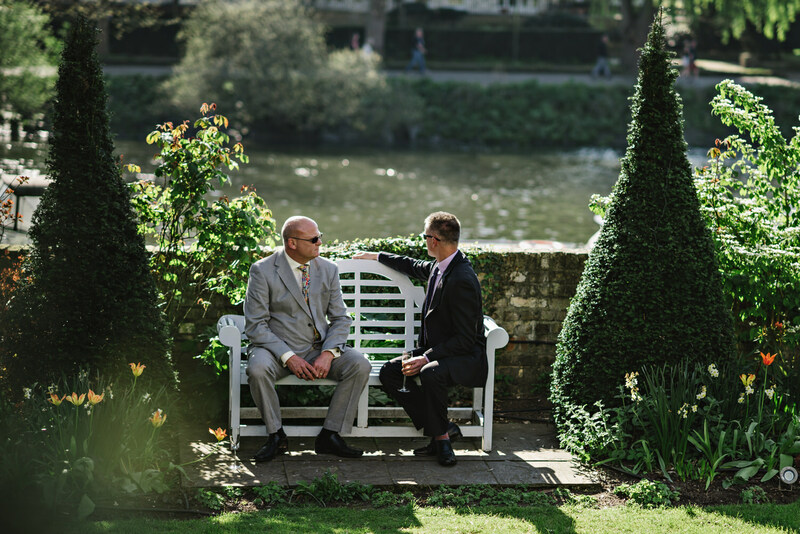 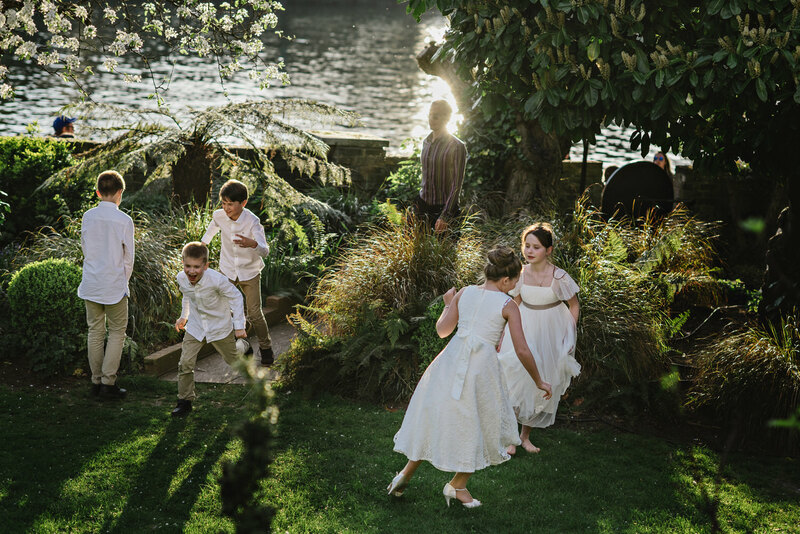 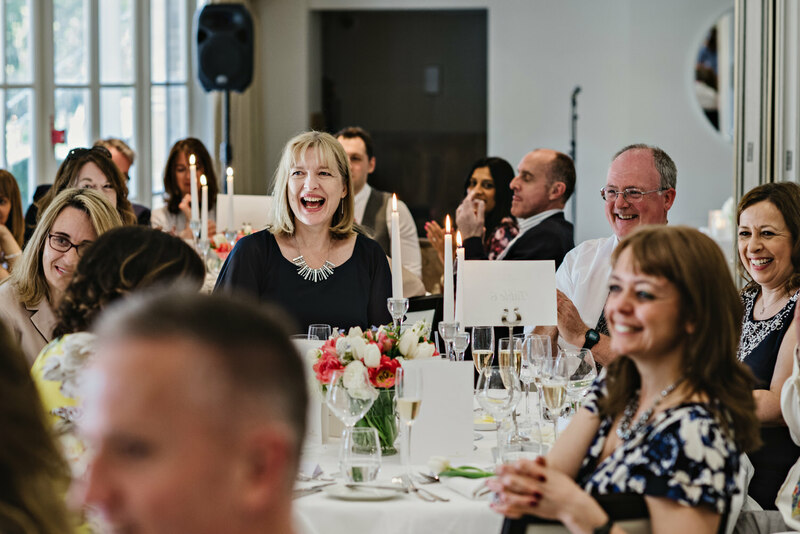 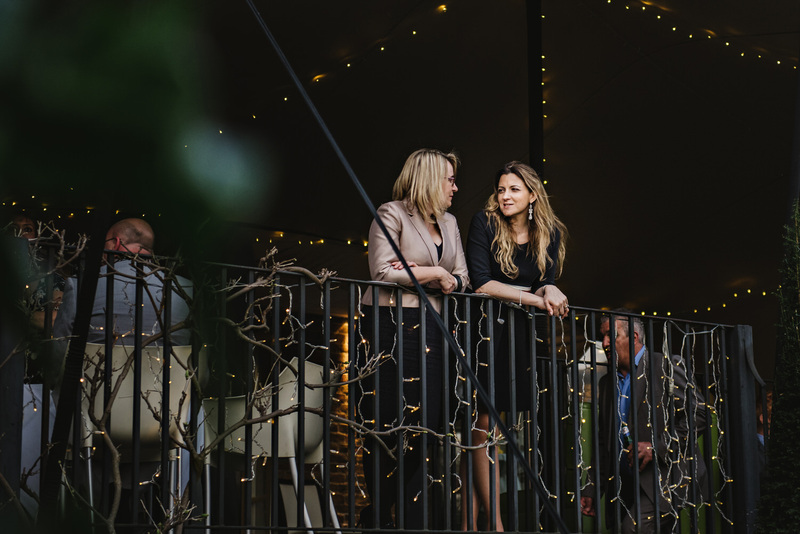 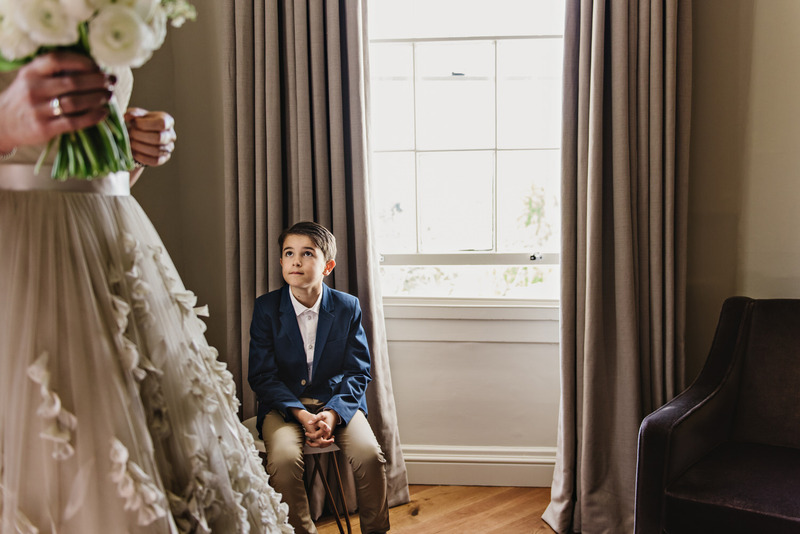 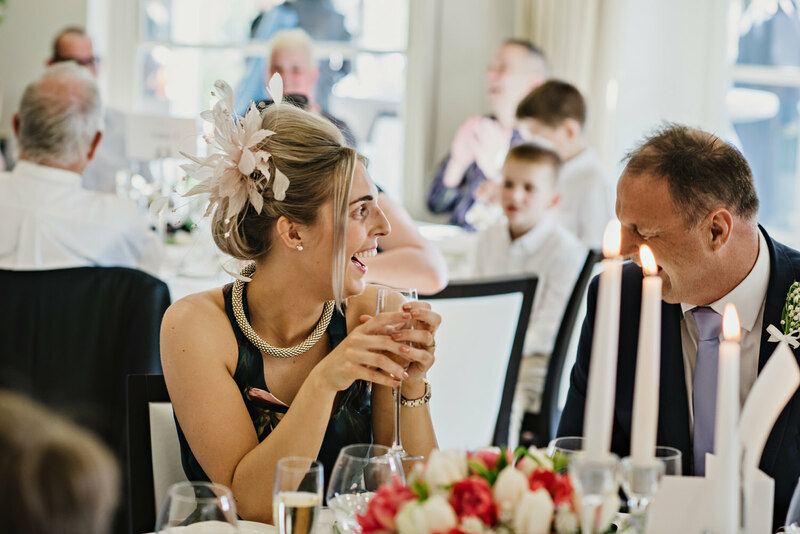 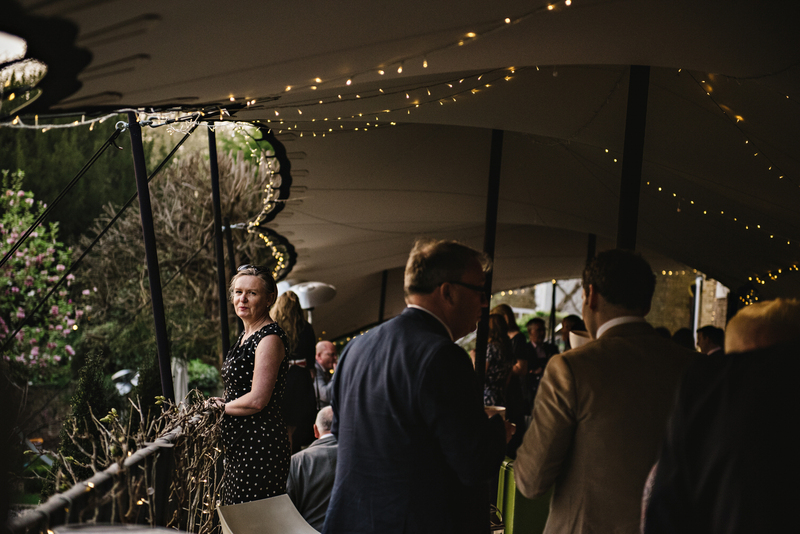 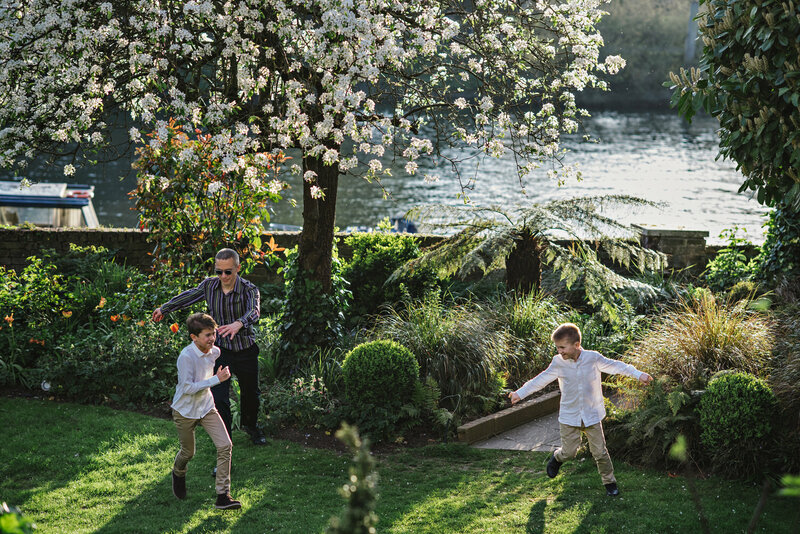 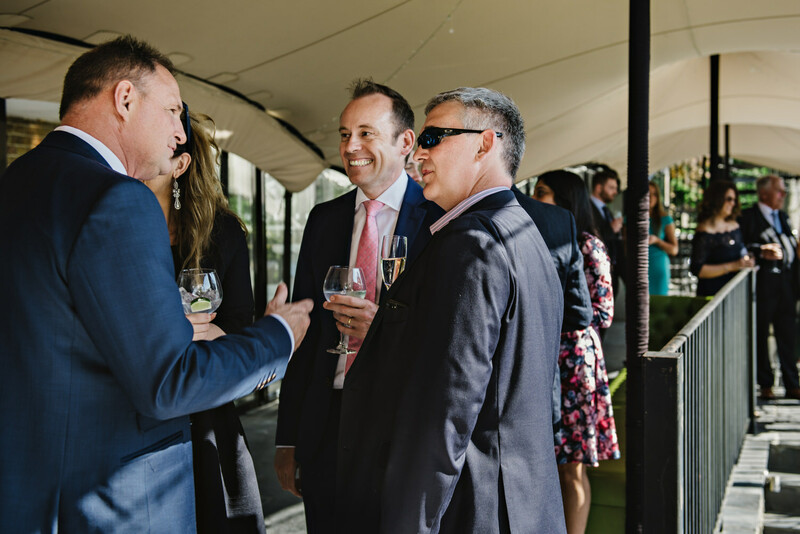 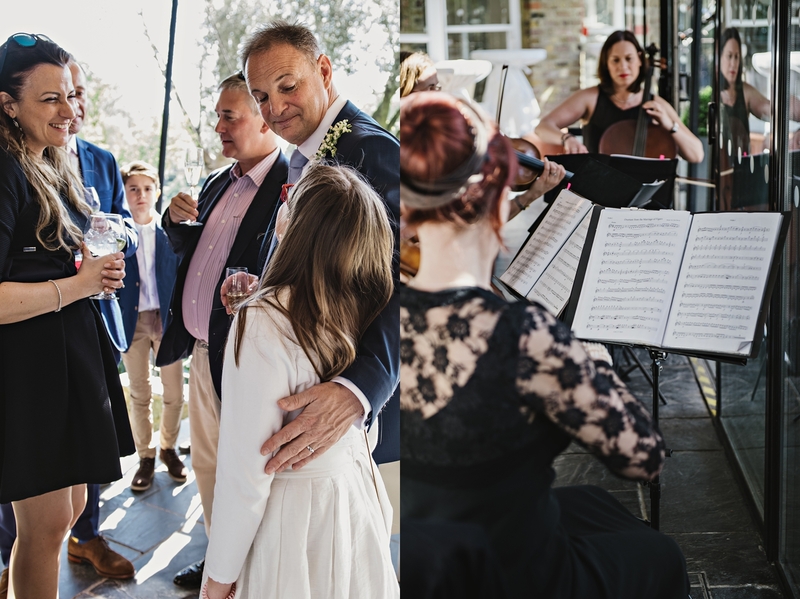 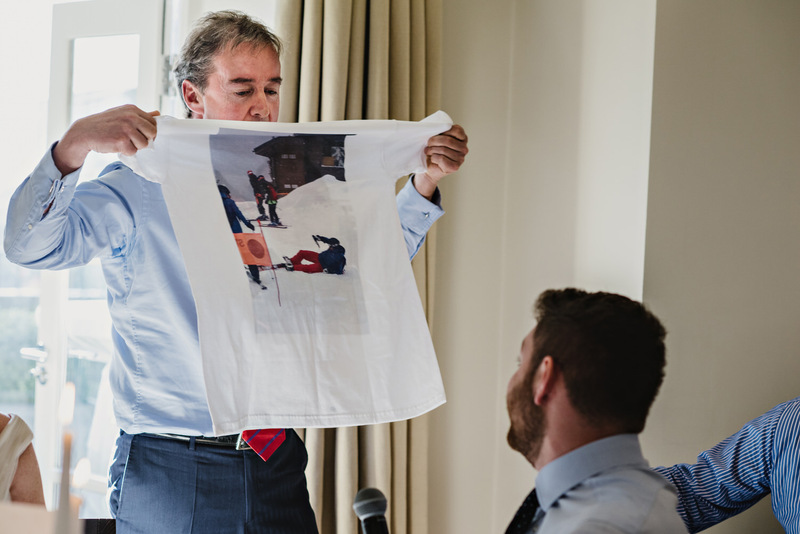 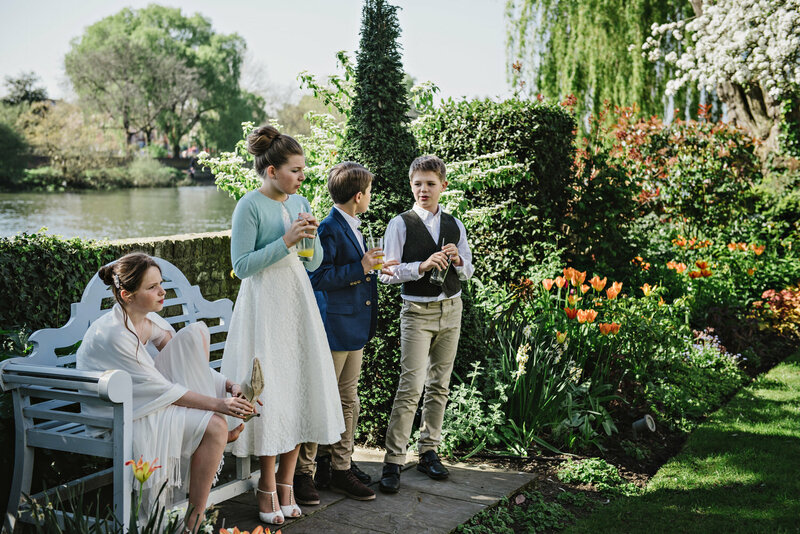 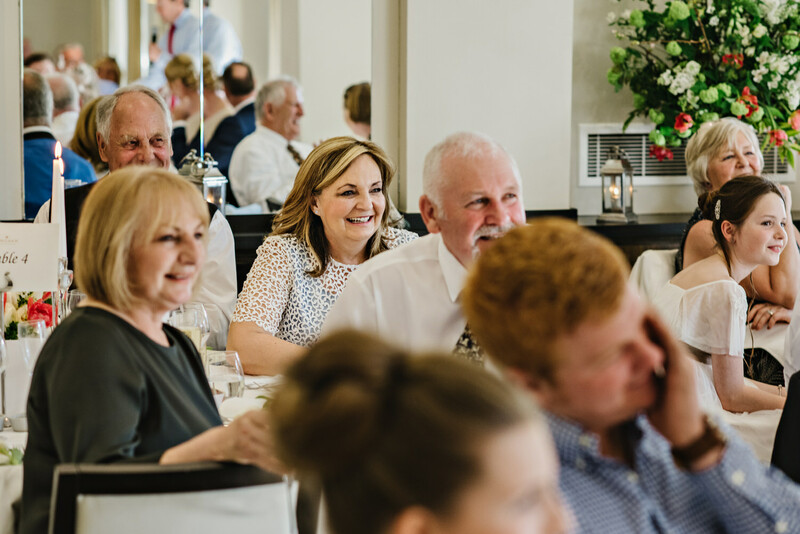 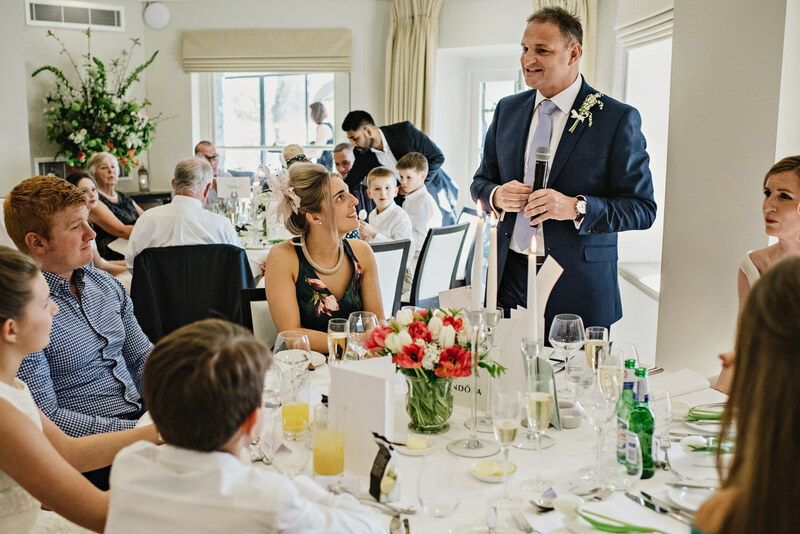 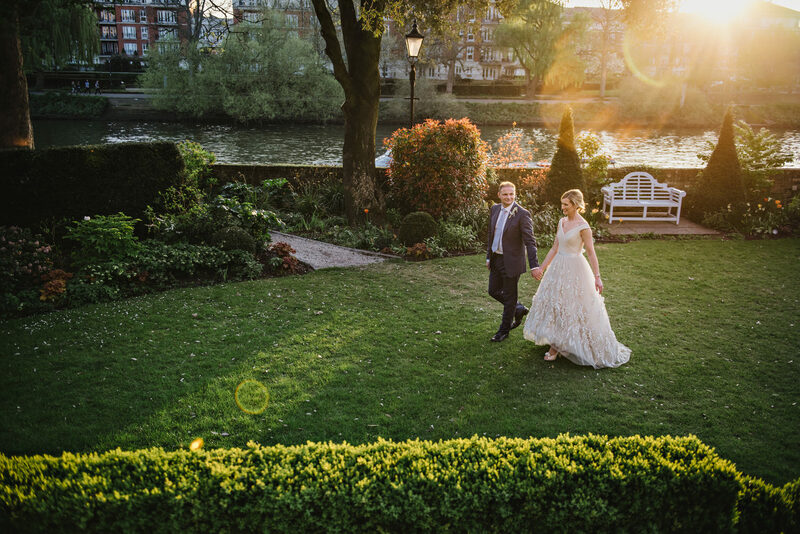 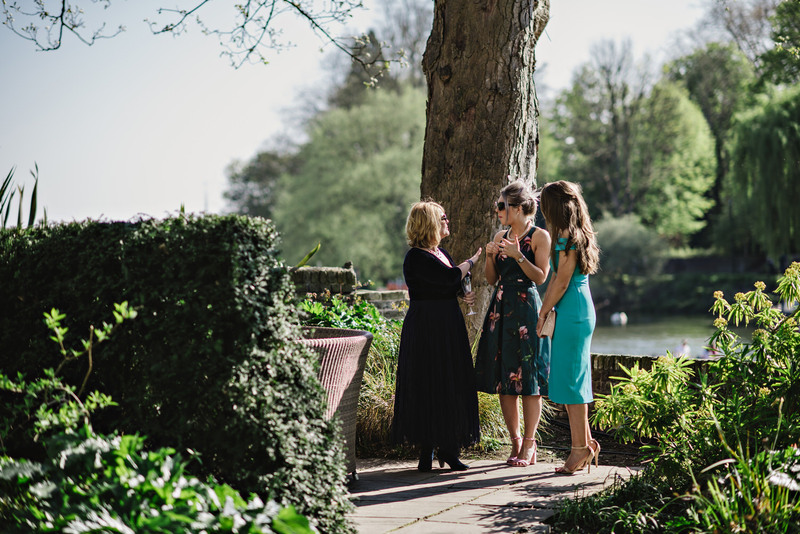 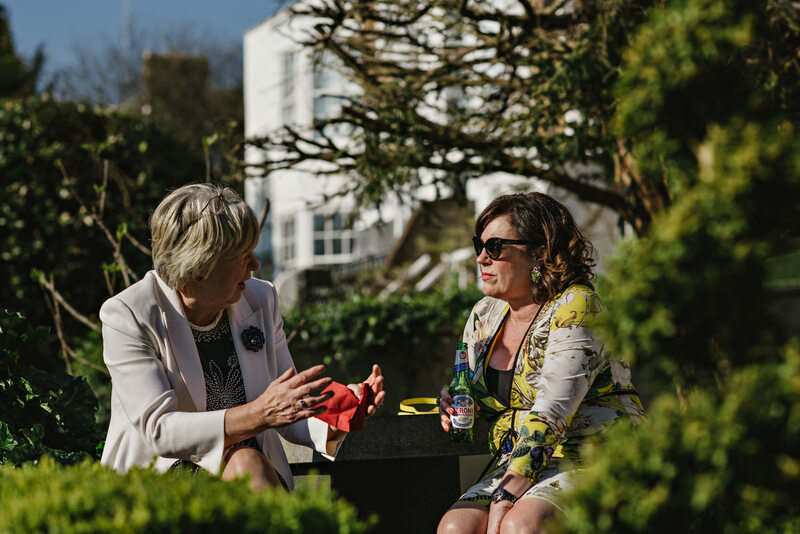 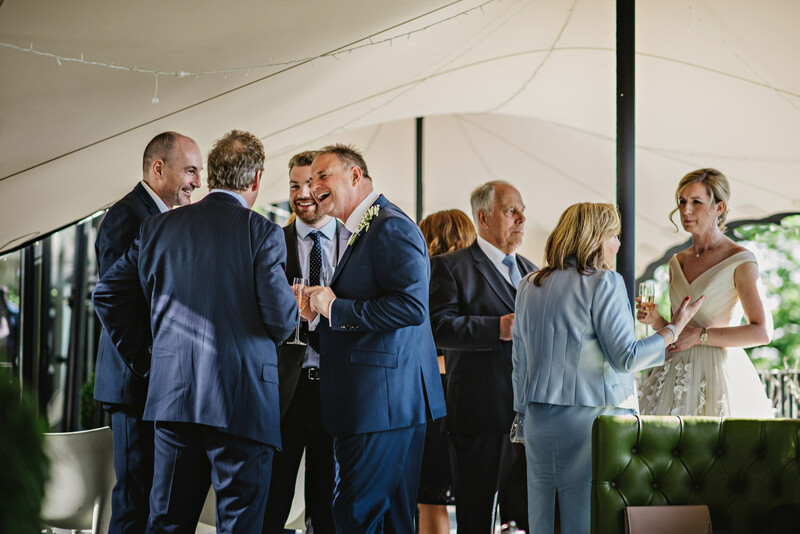 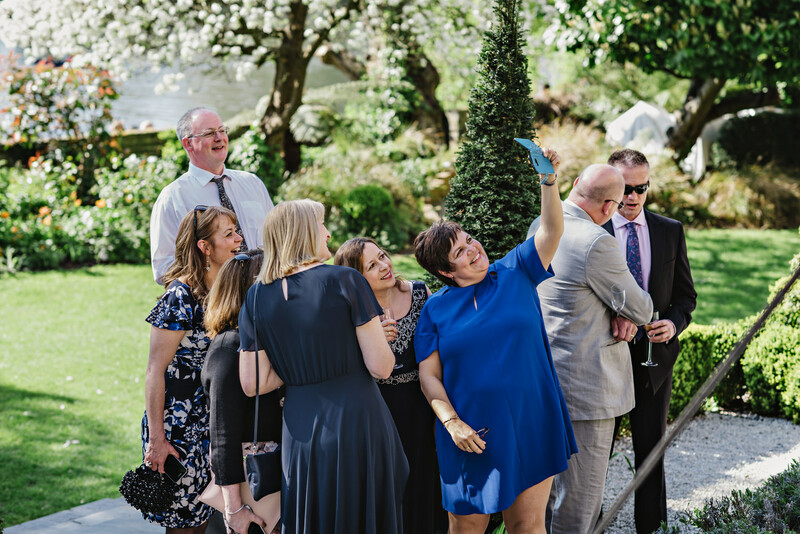 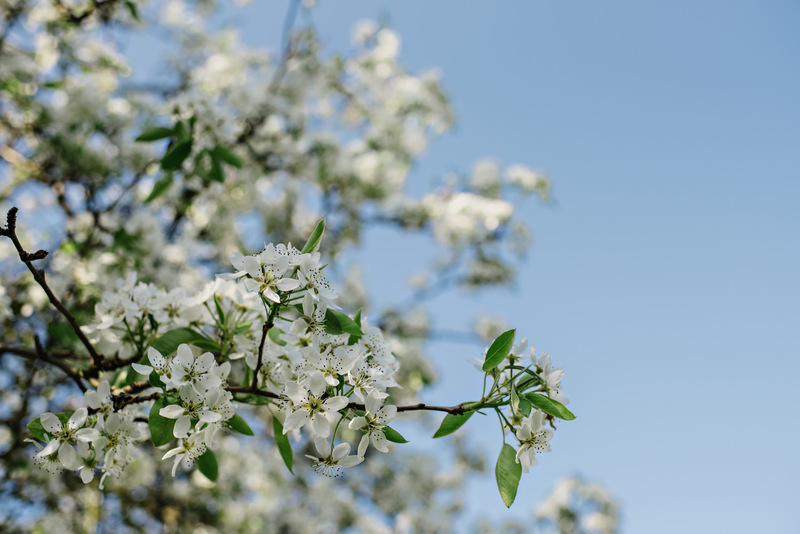 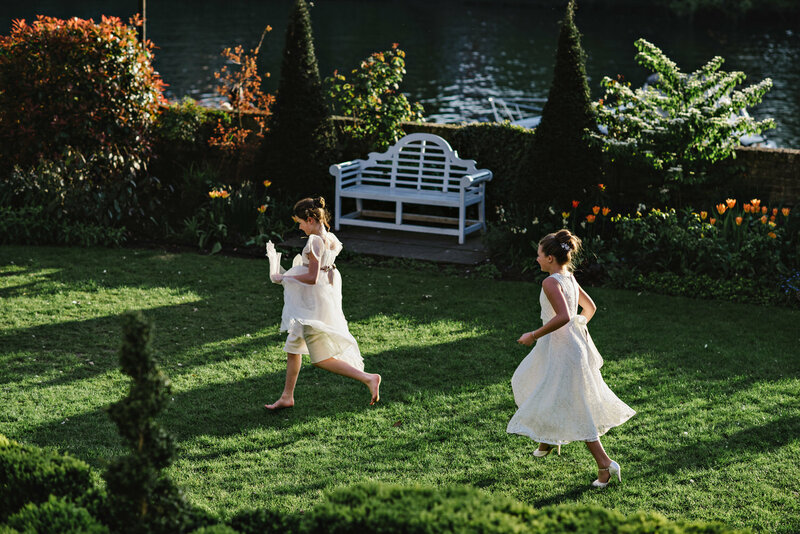 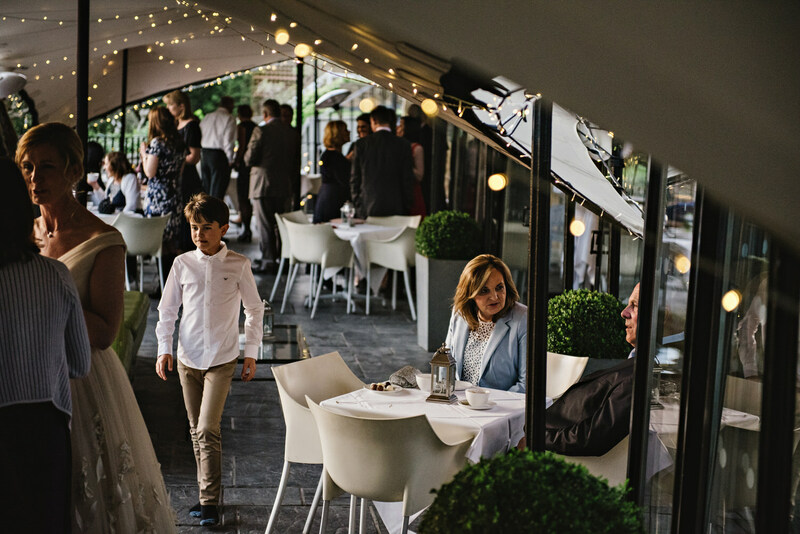 We had the most spectacular spring sunshine and all the guest were able to mingle out on the terrace and lawns after the ceremony – the children even managed to squeeze in a game of hide and seek. 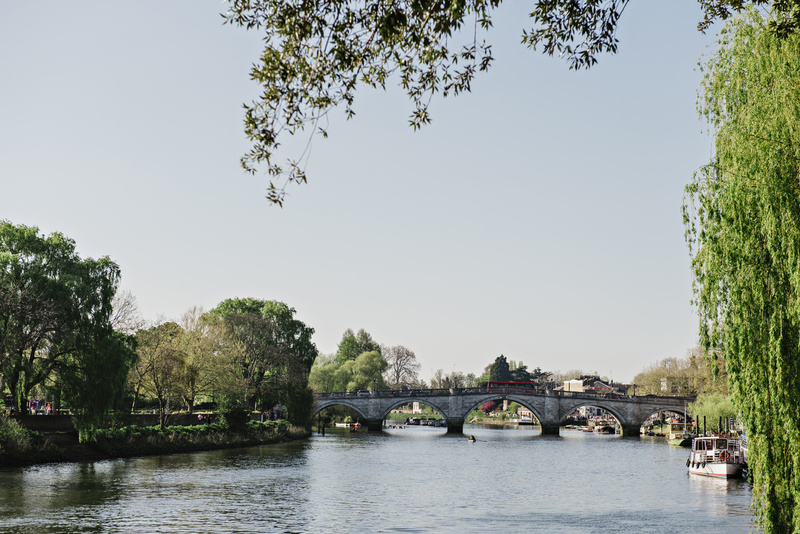 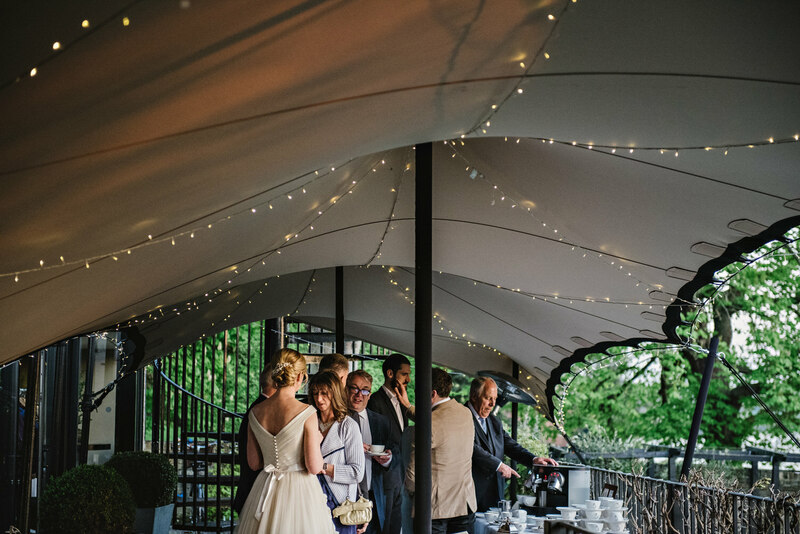 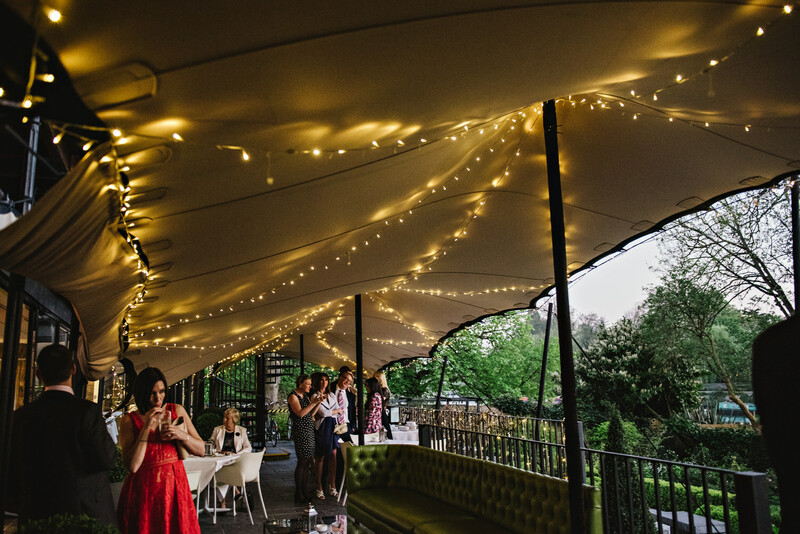 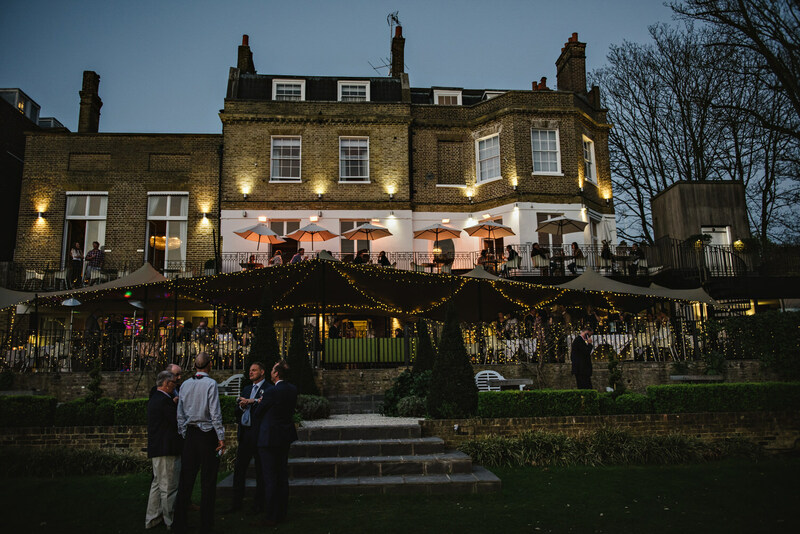 The Bingham is a boutique hotel in Richmond Upon Thames and in walking distance of Petersham Meadows. 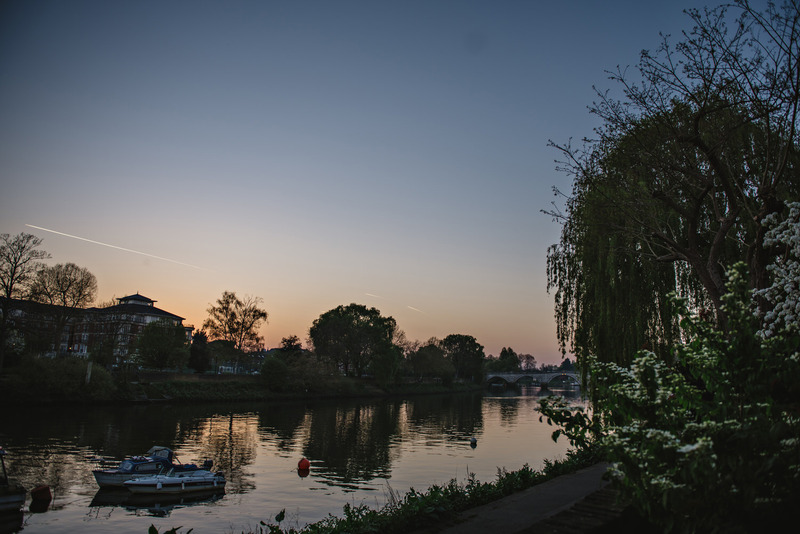 Lucky for me I live locally so I’ve popped in here for a cocktail many a summer’s evening. 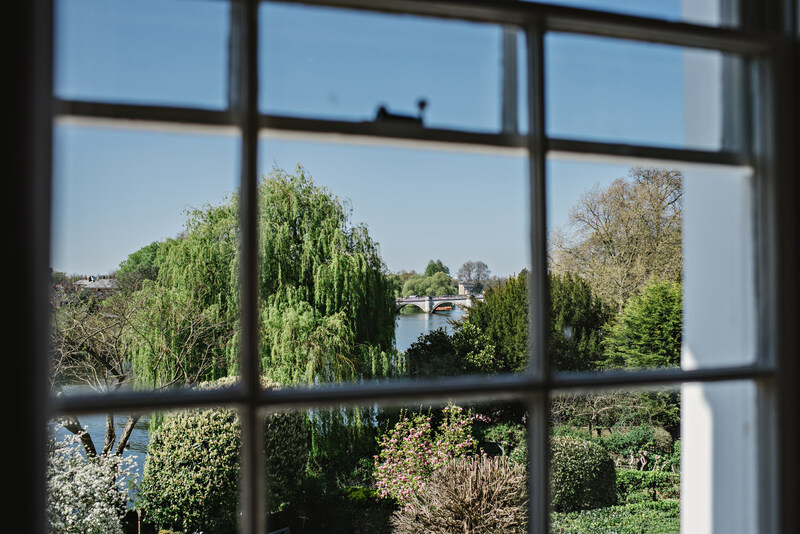 Gill and her children got ready in one of the bedrooms overlooking the river, which also had a fabulous copper bath beneath the window. 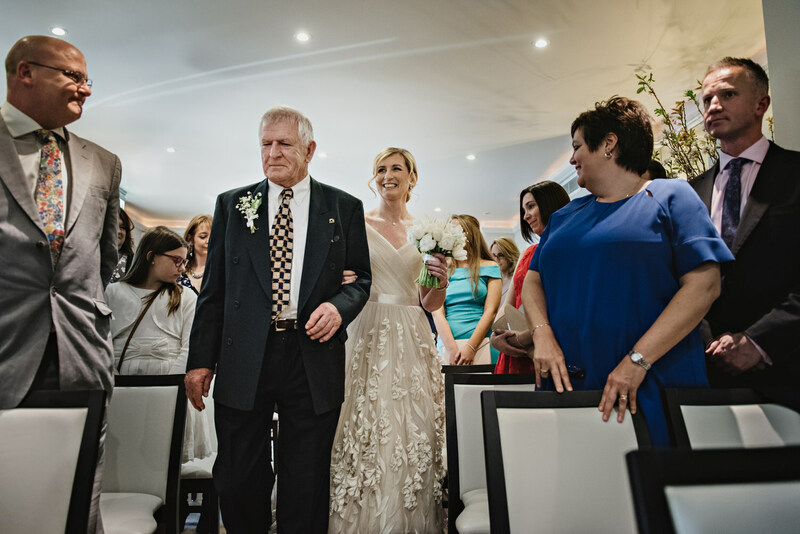 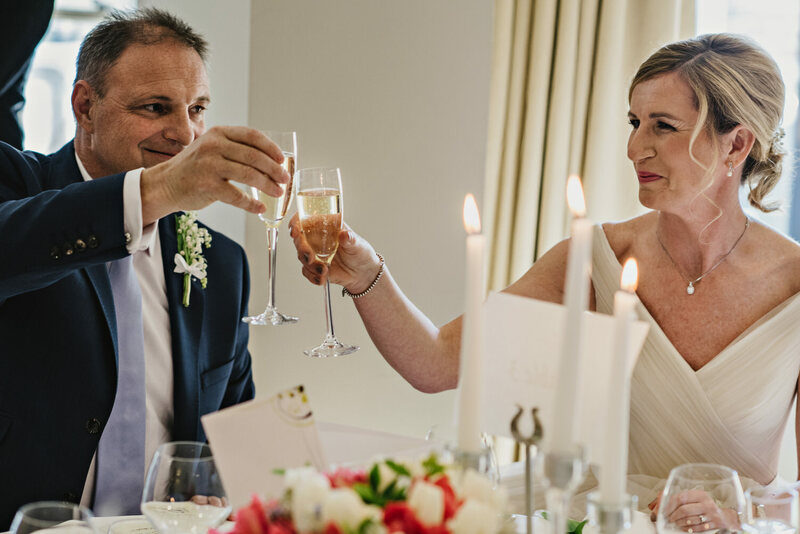 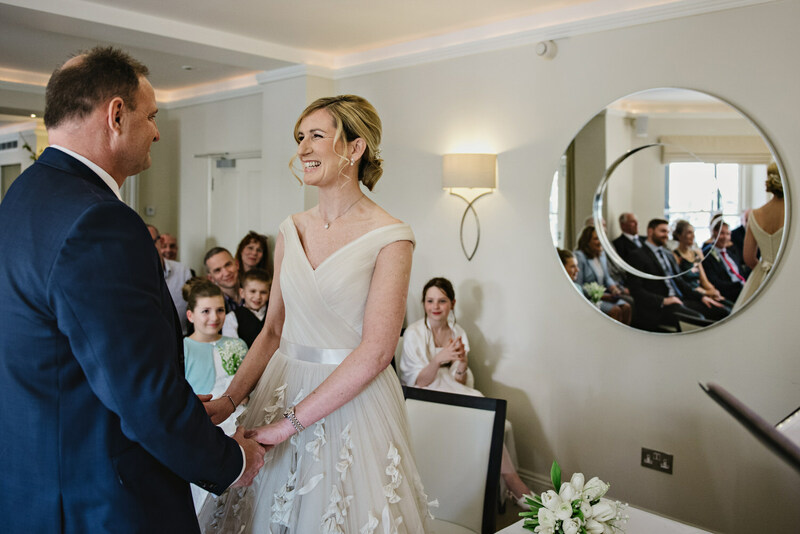 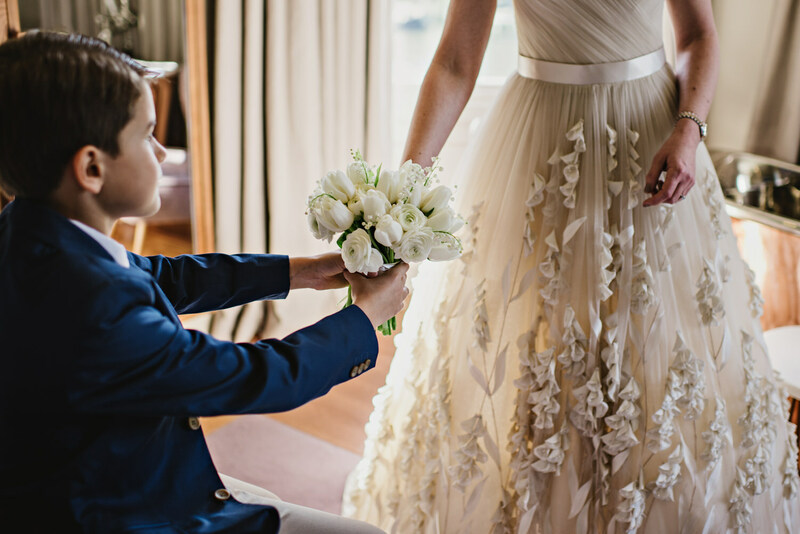 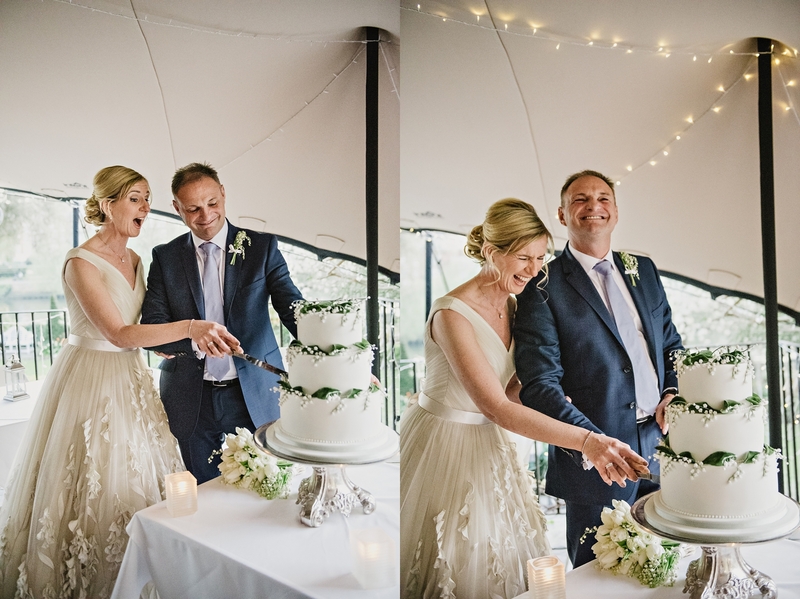 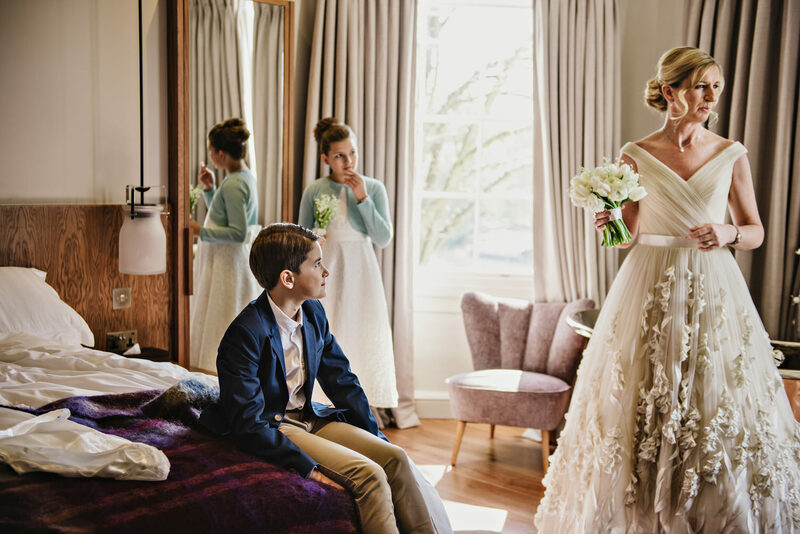 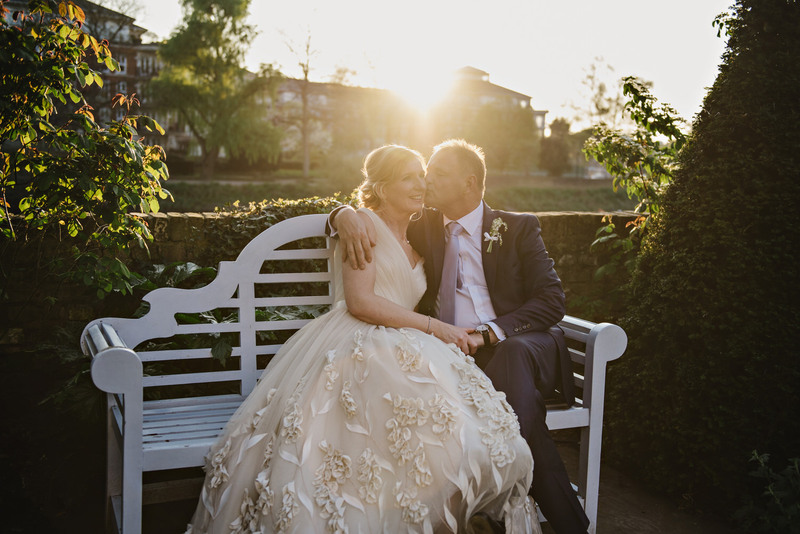 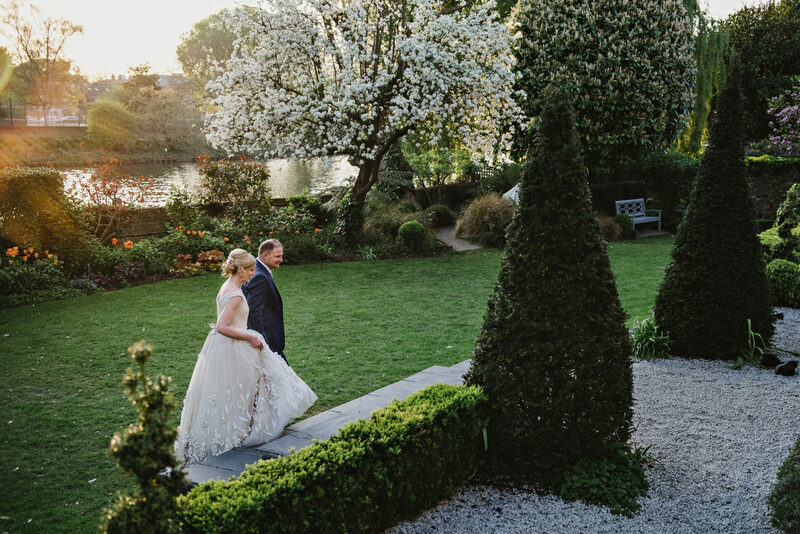 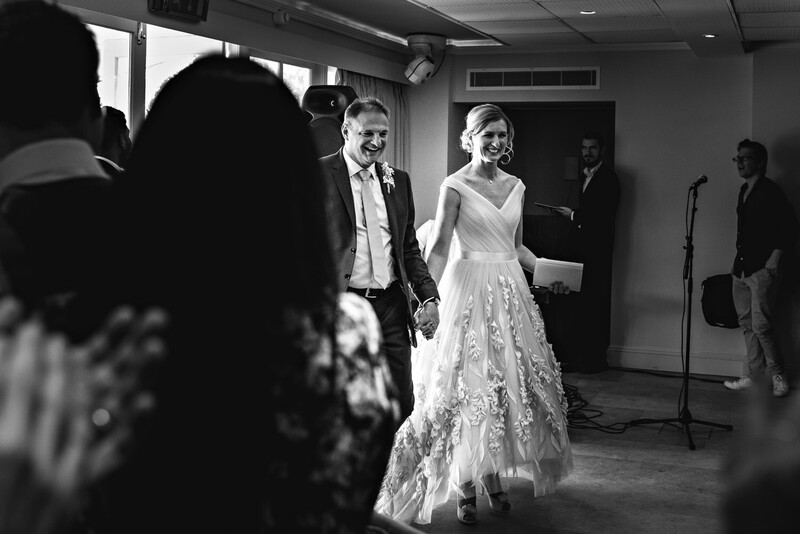 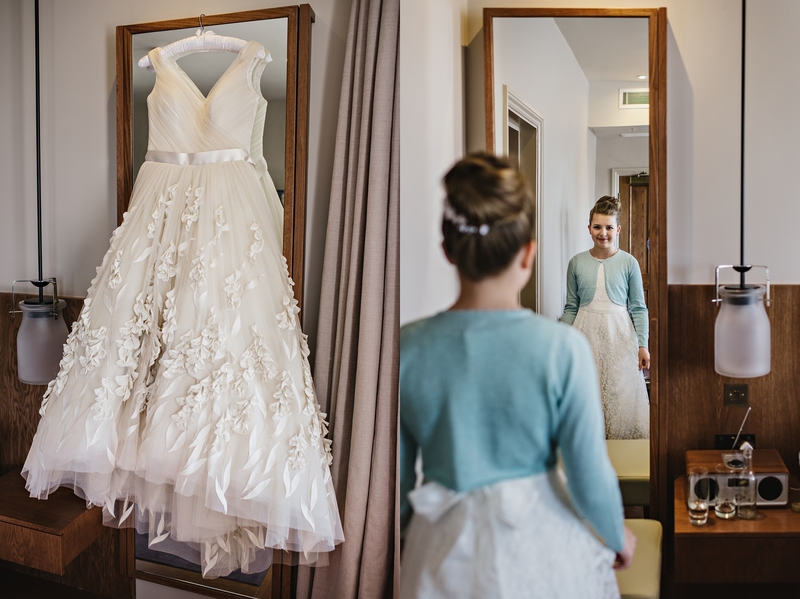 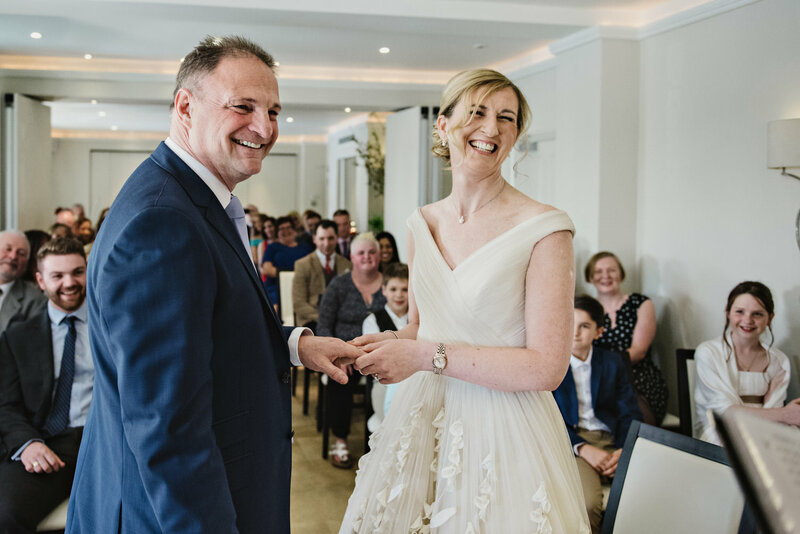 Gill wore the most jaw dropping beautiful dress from Miss Bush Bridal; it was a bespoke Suzanne Neville creation with a rising hem at the front. 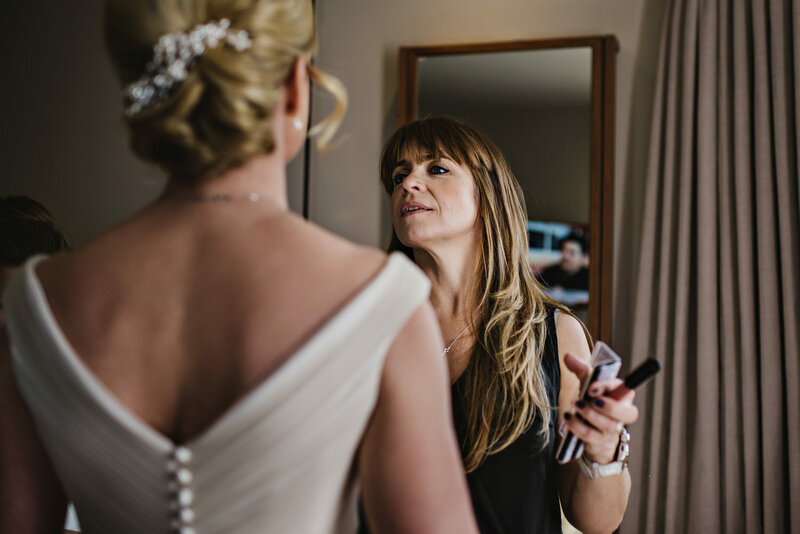 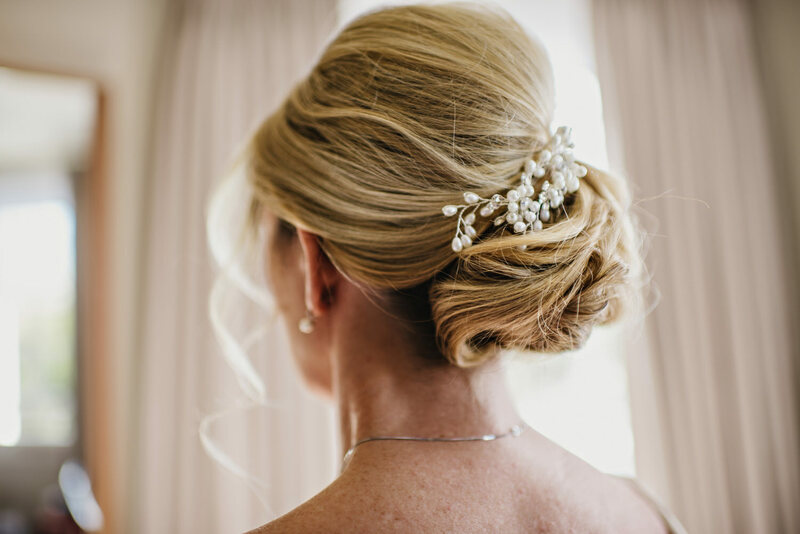 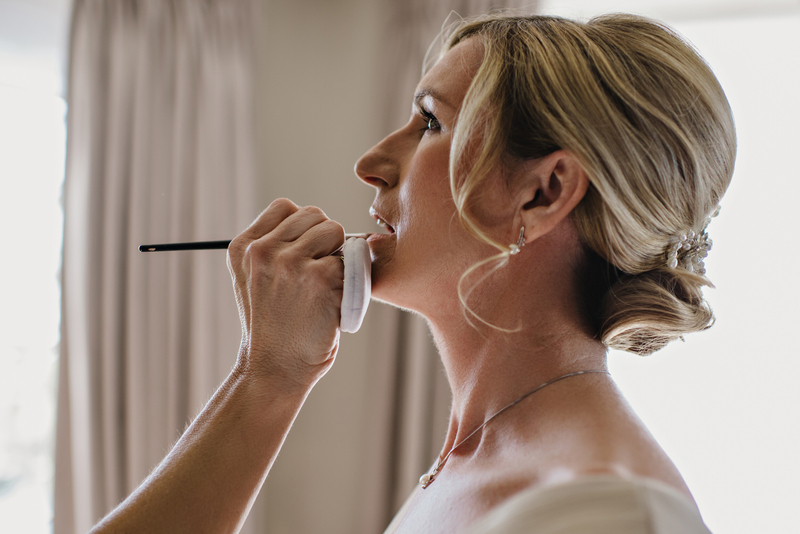 The lovely Mel Kinsman was on hand to do hair and make-up which looked fabulous all day. 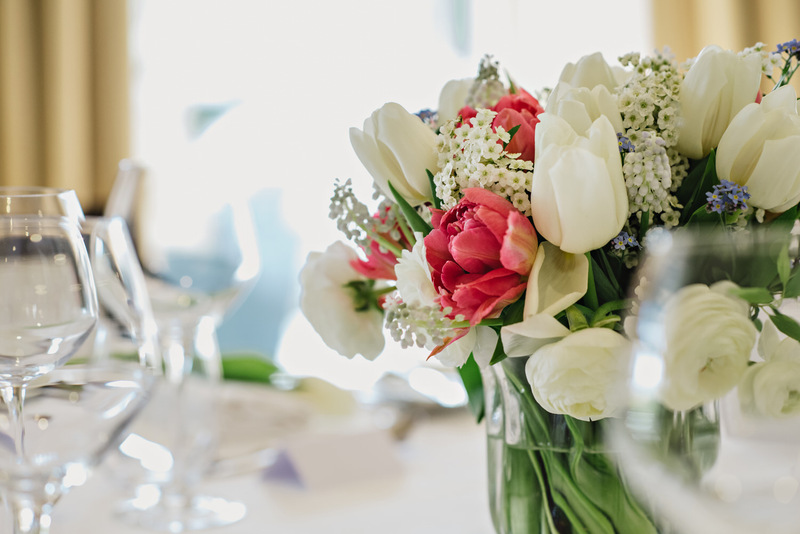 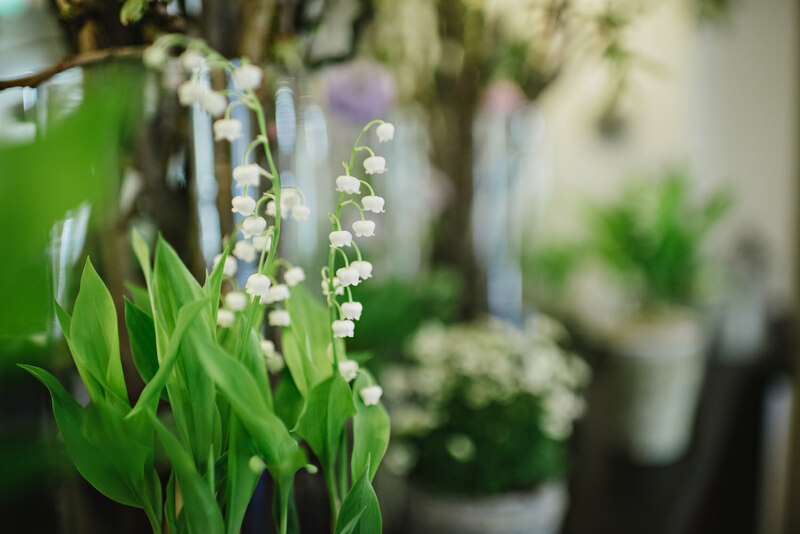 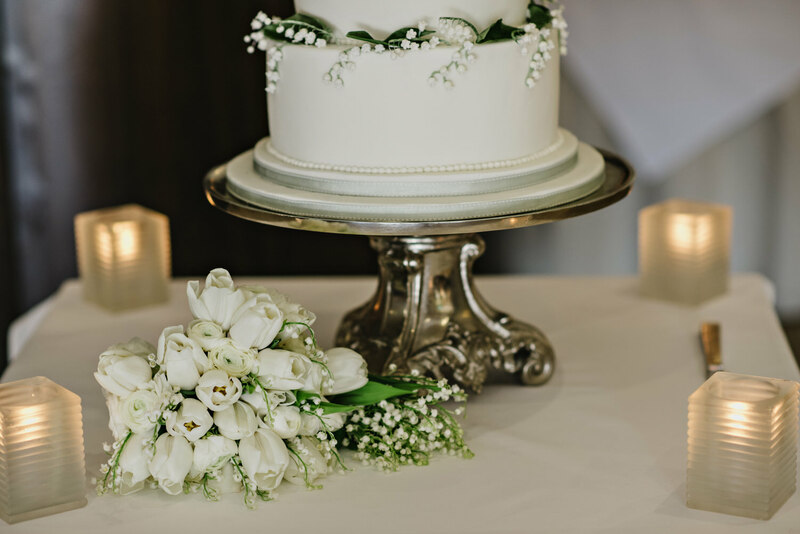 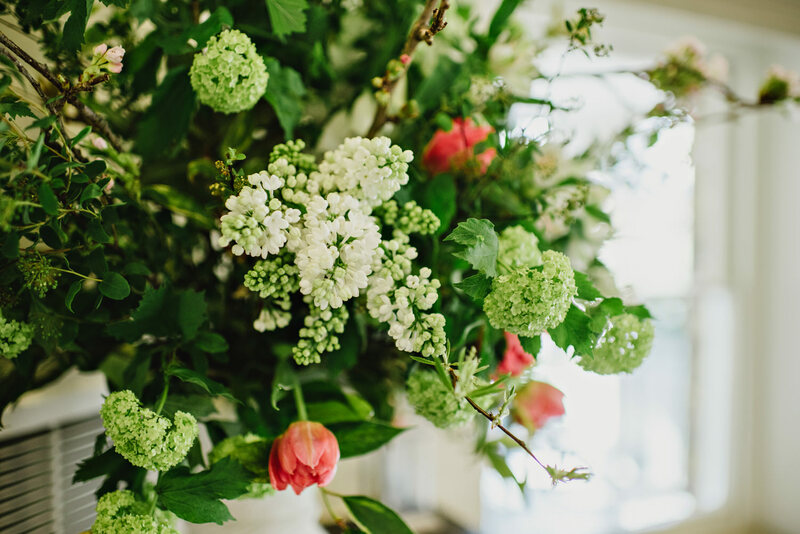 The beautiful spring flowers from Rebecca Mays Flowers filled the ceremony and reception room with their scent – you can’t beat Lily of the Valley for reminding you of spring. 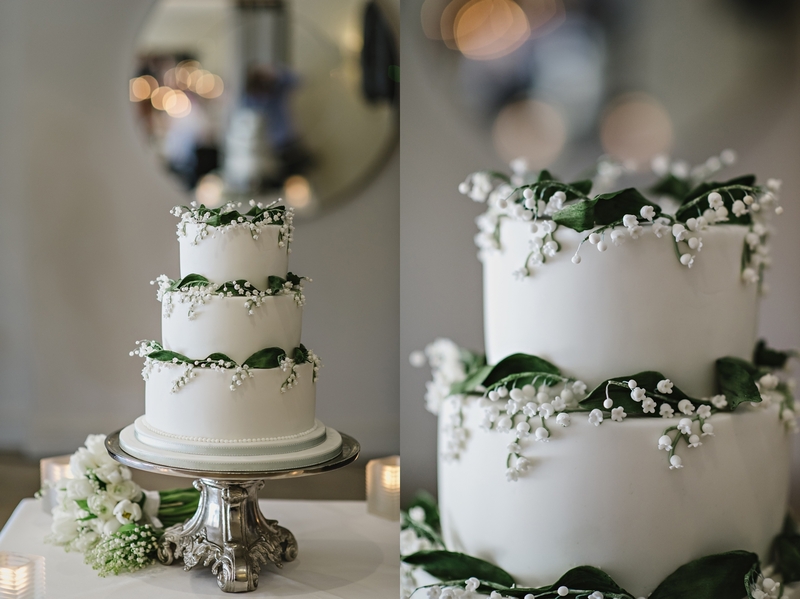 The very clever Andrea – Andi Freeman Cakes – incorporated this flower design into her elegant cake. 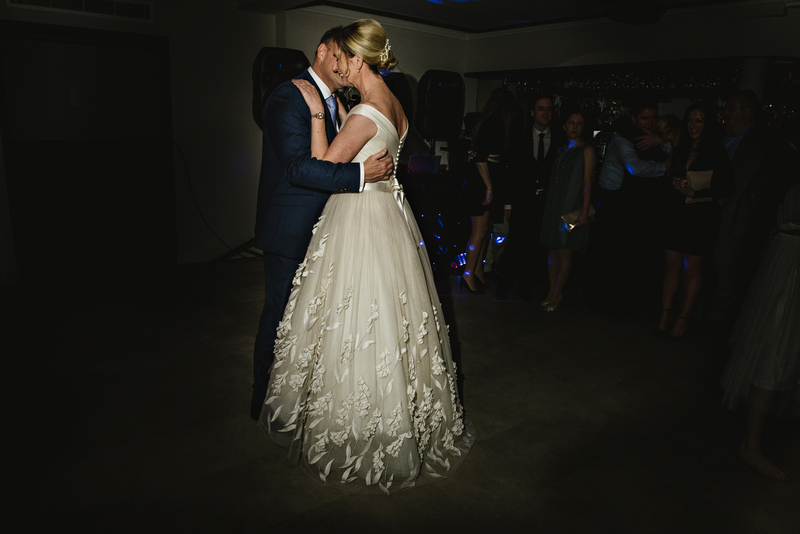 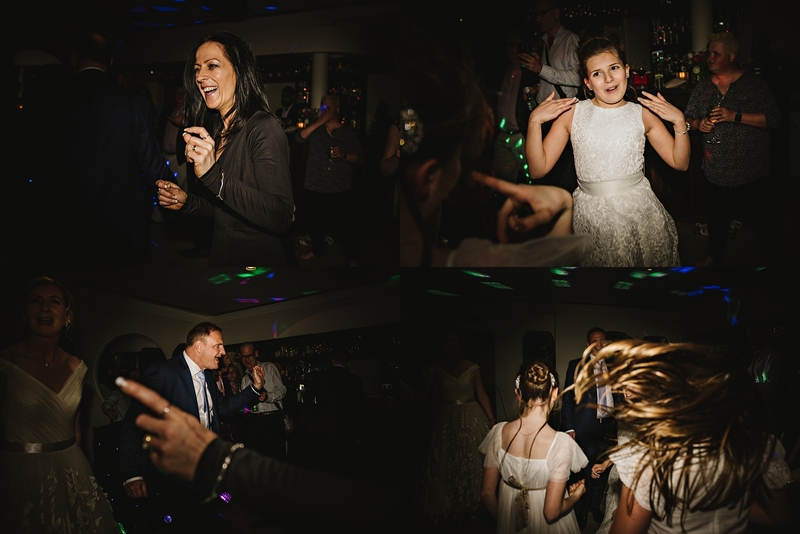 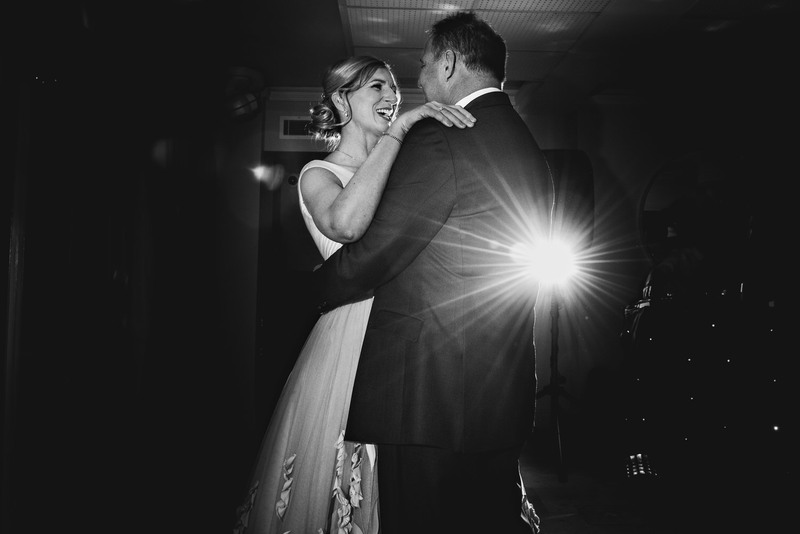 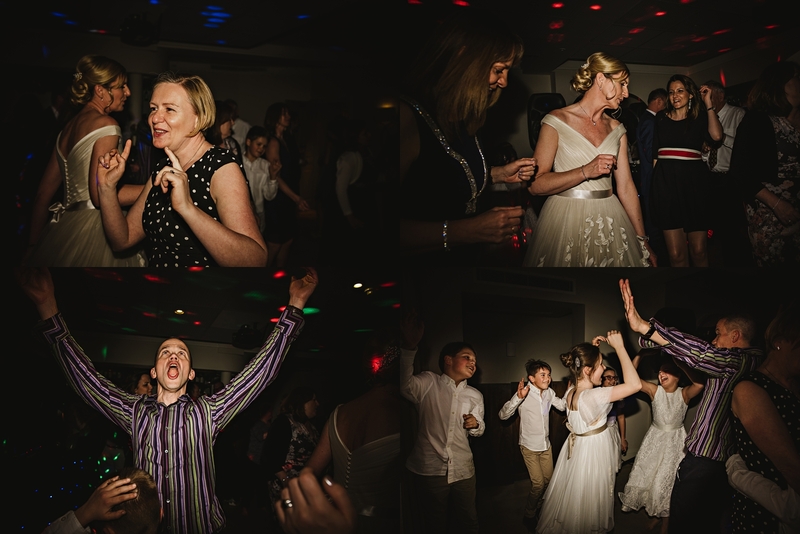 Gill and Mark had their closest friends and family to celebrate the day with them and dance into the wee hours. 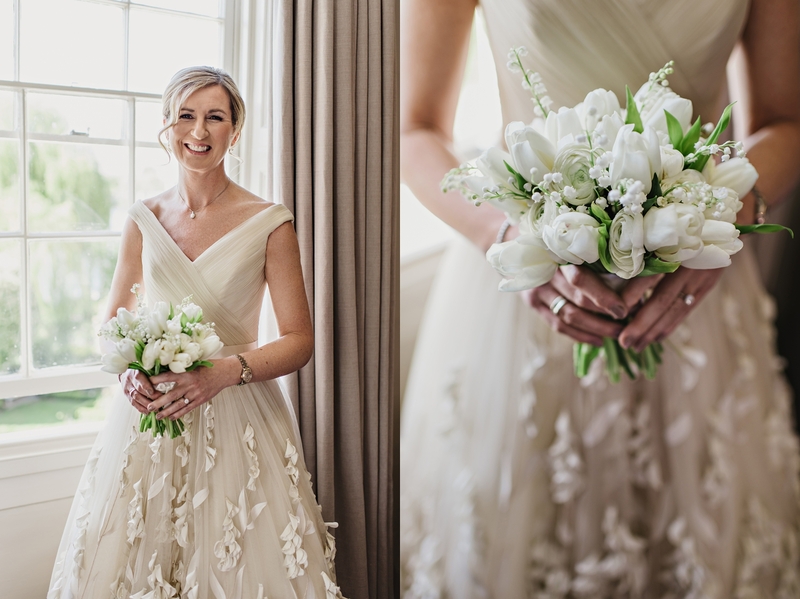 Here are my favourites from the day. 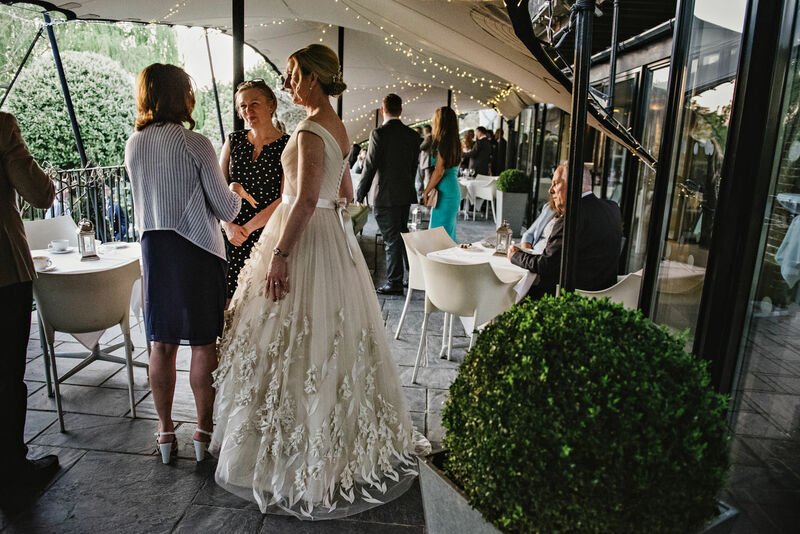 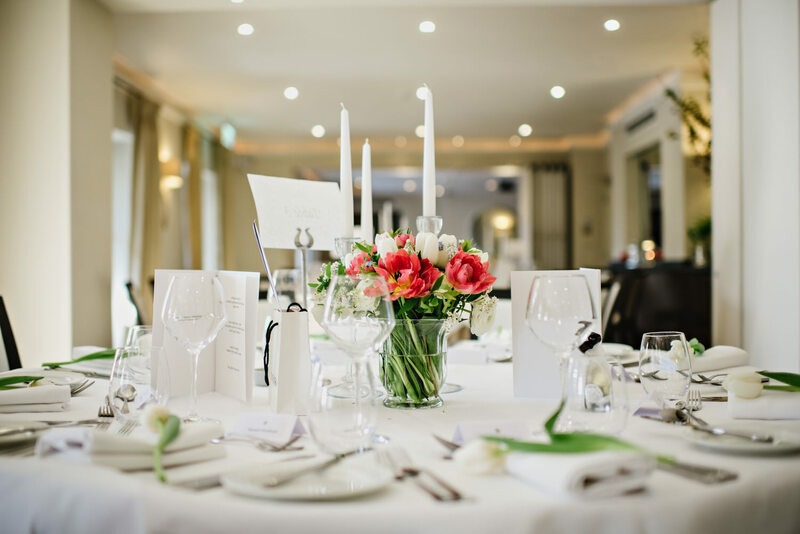 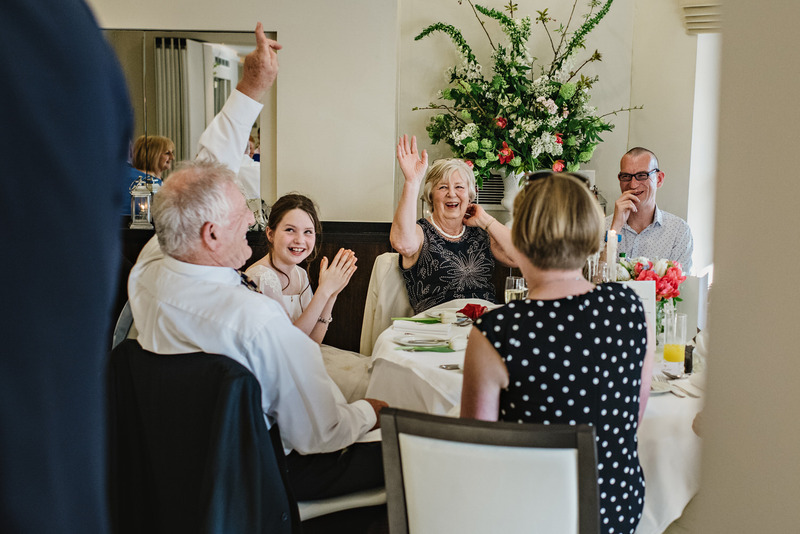 If you are thinking of getting married at The Bingham Hotel, feel free to get in touch . 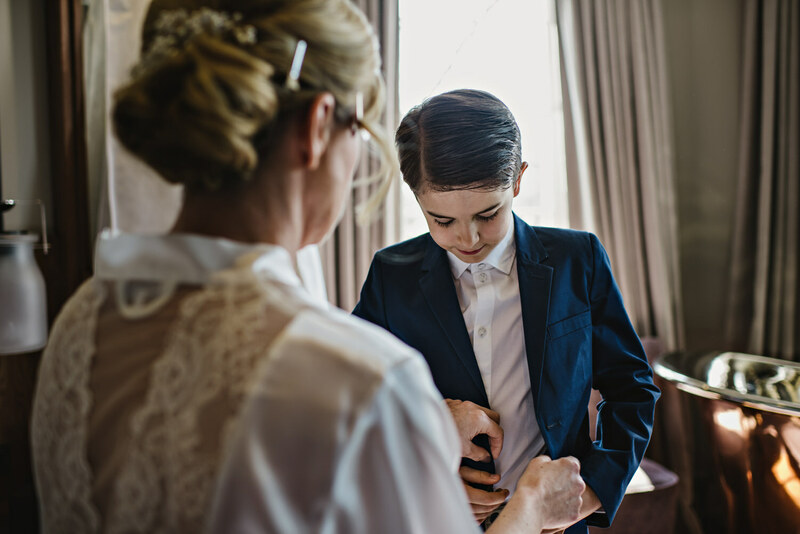 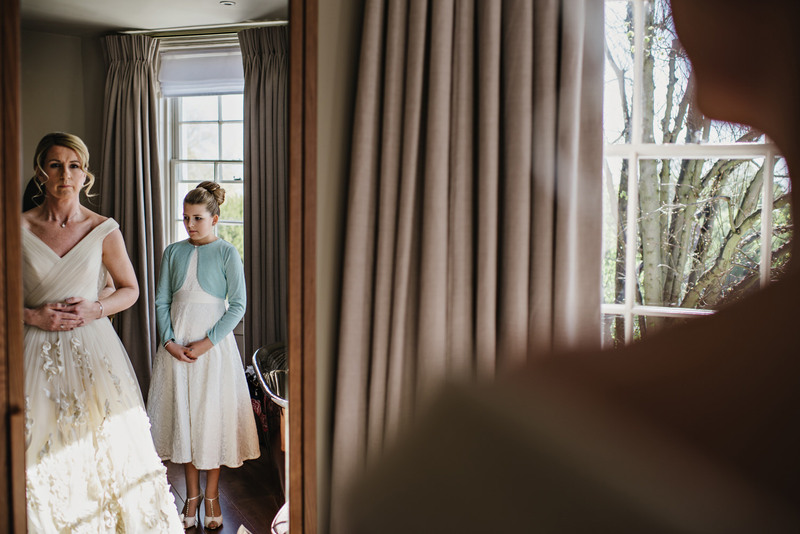 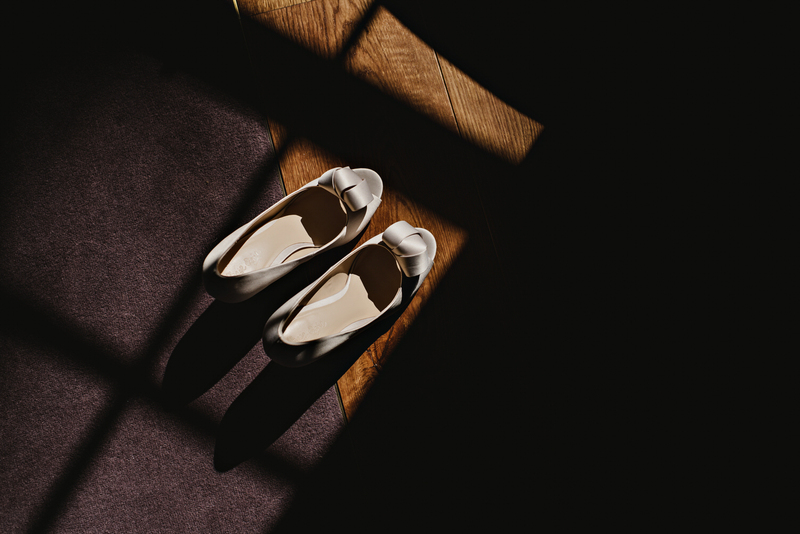 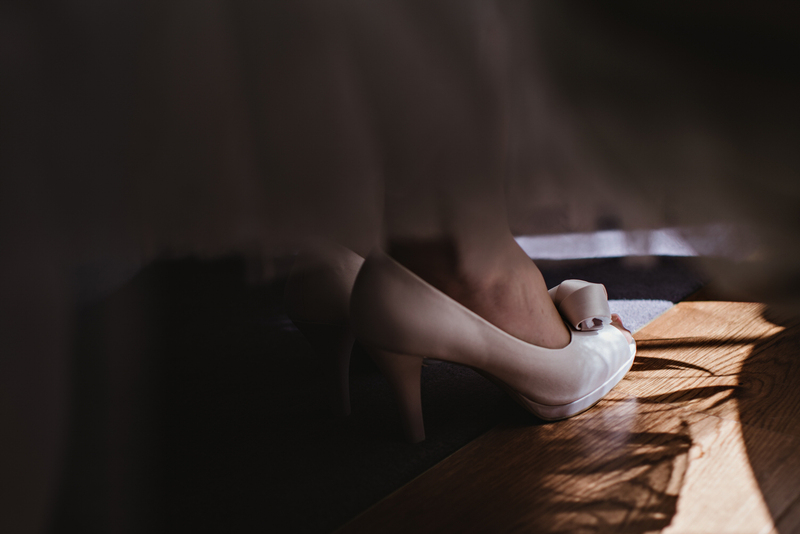 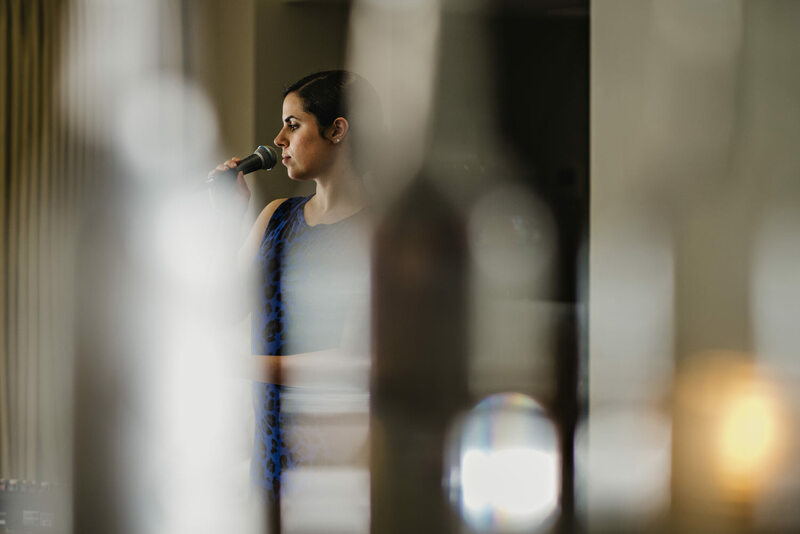 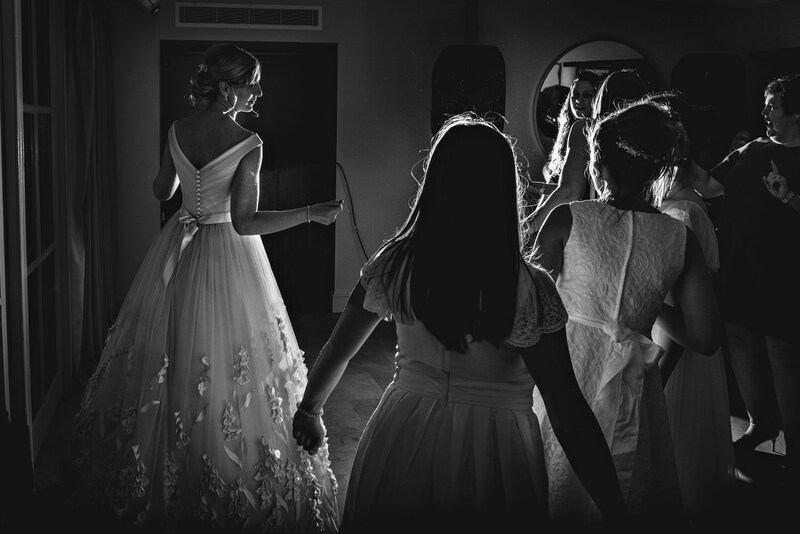 Please do have a quick read about my documentary approach to photographing weddings.